We manufacture equipment that enables the movement, storage, control and protection of materials, goods and products. We deliver organisational and technical solutions for efficient and sustainable materials flow. Our equipment is often integrated into complete systems that provide tailor-made solutions for complex production, storage and logistic requirements. In addition to mechatronic products, special attention is given to system controls, information processing and telecommunication. Our equipment is present in almost every production and distribution facility, throughout the entire supply and logistic chain and during the whole lifecycle of products from manufacturing to distribution, consumption and disposal. We are the second largest sector in mechanical engineering with nearly 300,000 people employed directly and a €62bn annual turnover. We are the world leader in most of our subsectors and we operate globally with some €25bn exports and a +€16bn trade balance. 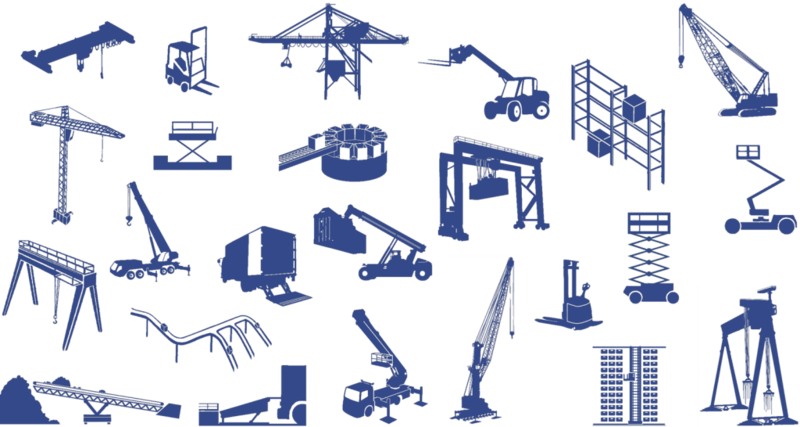 The materials handling, lifting and storage industry covers 7 different types of equipment: conveyors for bulk handling, cranes and lifting equipment, elevating equipment, industrial trucks, intralogistic systems, mobile elevating work platforms and racking & shelving.